Recently, Rod Page proposed to add NCBI Taxonomy IDs to Wikipedia pages. Rod outlines the scientific rationale which I won’t repeat here, but I think it’s safe to say that from the scientific perspective, the benefits seem to far outweigh the downsides. This seemingly trivial proposal was met with substantial resistance (primarily by one user so far) based on a perceived violation of one of Wikipedia’s “rules”. The details aren’t important — read the discussion linked above if you want the gory details. I highlight it here because exchanges like these often feel frustrating and unproductive. And importantly, they are often the reasons that scientists cite for not contributing to Wikipedia (e.g., , ). In light of this ongoing debate, I think it’s worth taking a brief look back at the origins of our Gene Wiki effort. Although I think there’s broad agreement now that the Gene Wiki effort is good and productive, the road to get there was often rocky. 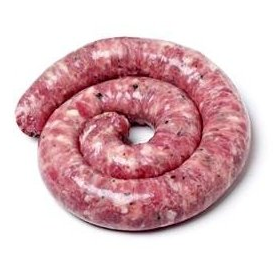 In short, sausage making isn’t pretty. But given the incredible opportunity that Wikipedia affords us as a forum for scientific communication and education, I hope we scientists persist in our efforts. From my personal experience, the “right” outcome usually prevails given enough persistence. The interesting thing to me about this argument is that the resistant party -though bizarrely unshakable in his opposition to this idea of adding one additional link..- is a fairly prolific contributor of good content and IMO not really a nutcase. He is a great representative of the long tail – he cares deeply about Wikipedia – enough to fight to the death against a large collection of very well-educated competition. Without people like Yzx Wikipedia wouldn't exist. The problem I see here isn't with the Yzx species, its with the limitations of the Talk page for conflict resolution. Certainly there is better technology to apply to such negotiations? Perhaps something along the lines of the 'conversation/argumentation' tools discussed here? Absolutely, didn't mean to suggest that anyone had malicious or even ignorant intent. (But rereading my post I can see how my wording toed the line a couple of times.) But the "right" outcome I was referring to usually is different than the original proposal. The extensive Gene Wiki discussions that I linked to had many good points that improved the overall effort. Being a Wikipedia newbie, I'm finding the decision-making process fascinating and kind of refreshing in a sort of self-flaggelating way. I often feel that I end up hearing far too much agreement in the context of friendfeed and so forth. While I agree with Rod's proposal and cringe a bit at the arguments against it (especially their repetition), I have to believe that its a good thing those arguments are happening. I suppose what I should be doing is following people with the opposite point of view. Now, where can I find the anti-Neylon?